Photograph of the home originally owned by Bartholomew Buchli in Alma, Kansas. Buchli was the county surveyor from 1891 until his death. 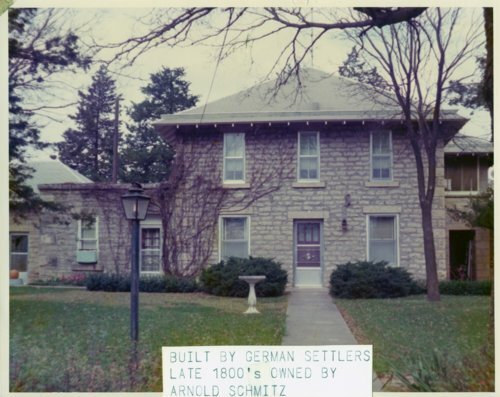 In modern times, the house was owned by Arnold Schmitz, grandson of Henry Schmitz, one of the founders of Alma.